The recovery in dollar index faltered near 97 and yields on US 10-year dropped to 2.34 per cent, a 15-month low. US Q4 GDP number will give the next trigger for the index. Meanwhile, the Indian rupee is trading in a narrow range. 69.60 is the resistance while 68.80 is the support. Any clear trend will emerge after it breaks this narrow range. Relative Strength Index (RSI) is now hovering in the undersold territory (50-30), meaning there is enough room for a slide to 68.35 on a potential range breakdown. Gold speculators lifted bullish bets after three weeks. Gold in COMEX is near $1,316 as Treasury yields and equities fell on possible US recession and global growth concerns. The metal failed to capitalise after weak US housing data and it needs to break $1,326 for bulls to gain any momentum. It now has two fewer obstacles to worry about, higher interest rate and a strong dollar. In MCX, gold has resistance at Rs 32,300 and right now it is a buy on dips. 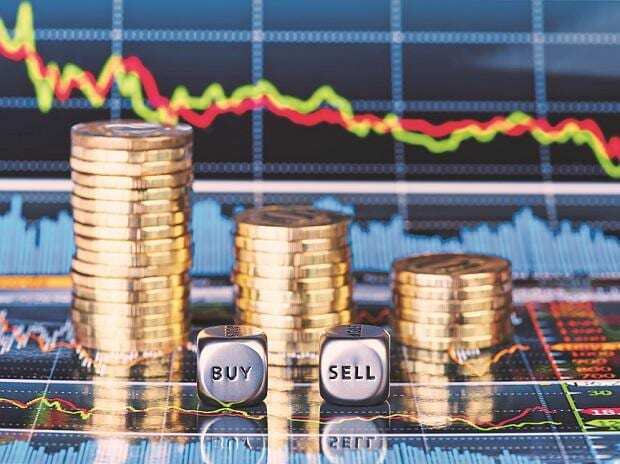 A strong rupee is a headwind for the yellow metal in MCX and Rs 31,500 is where any long position in gold should be exited. Crude oil has run out of steam around its resistance zone of $68. The outages in Venezuela and Iran, along with the strong production cuts from OPEC+ are undoubtedly tightening up the oil market. The one thing holding back oil prices seems to be concerned about the global economy and how the US-China trade war might impact that outlook. Saudi Arabia plans to reduce March and April oil production to under 10 million barrels per day, below its official OPEC output target of 10.3 million barrels per day (bpd). Fundamentals are strong but a looming slowdown is what is keeping crude prices lid on the upside. Since the past 13 trading sessions, crude is stuck between Rs 4,000 - Rs 4,150. Any positional long can be exited below Rs 4,000 and new rally in crude will start above $70 in Brent or Rs 4,200 in MCX. Lead on the daily scale has bounced from an oversold zone with RSI_14 now trading at Rs 38. We have seen continuous fall in Lead from levels of Rs 154 to Rs 136.15. The low of Rs 136.15 has been tested twice in the last two trading sessions, so we are expecting the technical bounce back from current levels. Price action is also far from the important moving average so mean reversion is also expected. Thus, we recommend a long position from the current market price and expect levels till Rs 143 and maintain a stop loss of Rs 133 on a closing basis. Copper has bounced from levels of Rs 434 and made ‘hammer’ candlestick pattern on the daily scale. Just like Lead, Copper also has corrected from highs of Rs 468 to Rs 434. RSI_14 is trading at 40 and the short-term moving average has started flattening out indicating selling pressure has subsided. We may see rally till Rs 445 from current levels. So, we recommend a long position with expected up move till Rs 445 and stop loss of Rs 432 on a closing basis.